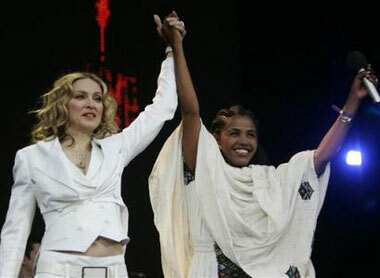 Live 8 were a string of benefit concerts on July 2, 2005, simultaneously held in London, Paris, Berlin, Rome, Philadelphia, Barrie, Chiba, Johannesburg, Moscow, Cornwall and Edinburgh. 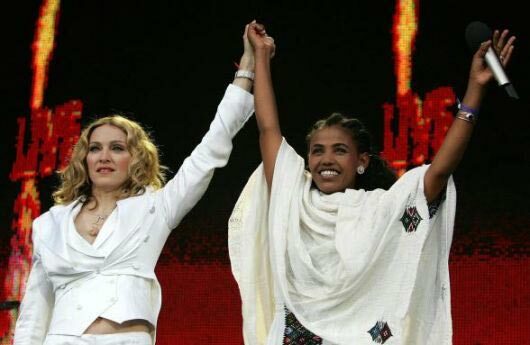 While they coincided with the 20th anniversary of Live Aid, co-organizer Bob Geldof didn't see the event as the same, saying "This is not Live Aid 2. 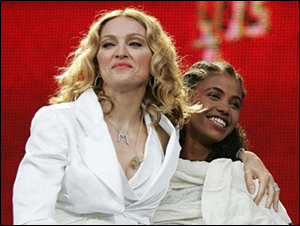 These concerts are the start point for The Long Walk To Justice, the one way we can all make our voices heard in unison." Live 8 was scheduled only days before the important G8 conference in Scotland, calling to the politicians to 'Make Poverty History'. More than 1,000 musicians performed at the concerts, which were broadcast on 182 television networks and 2,000 radio networks. 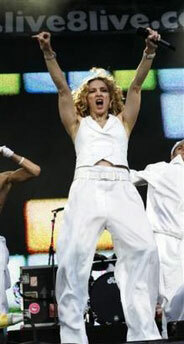 Many acts from the original Live Aid joined this time again. 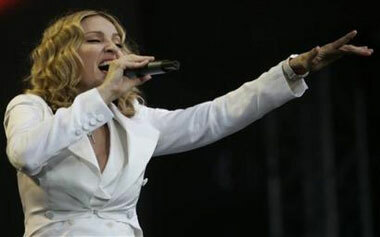 Madonna performed 3 songs at the concert in Hyde Park, London. 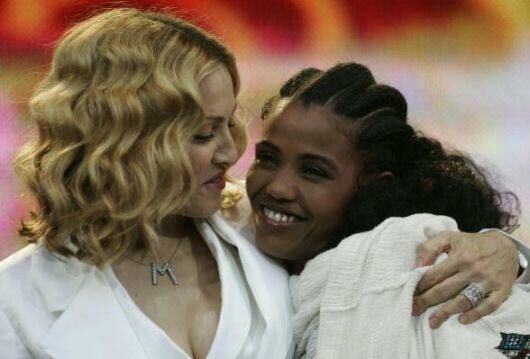 Before her set, Bob Geldof brought Birhan Woldu on stage. Back in 1985, she was the famous starving child from a CBC News report that prompted Geldof to organize the original Live Aid. 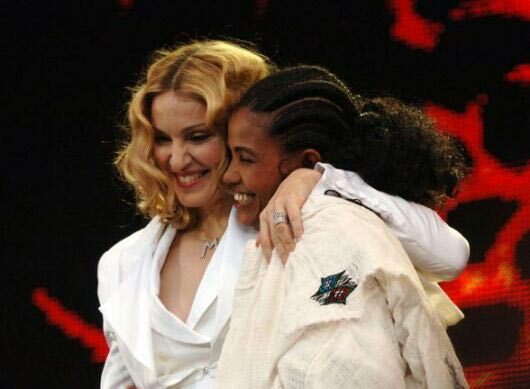 When Geldof asked Woldu which artist she wanted to appear with, she chose Madonna because it was the only artist she'd heard of. 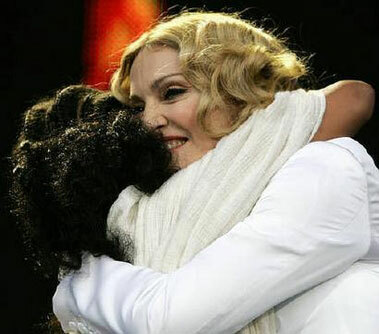 Madonna embraced Woldu on stage, holding her hand while performing Like A Prayer. 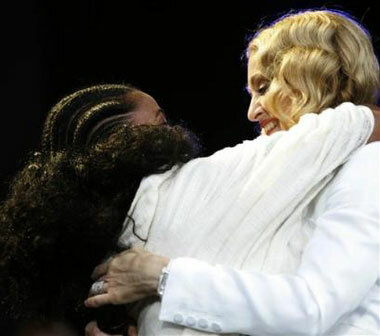 Madonna performed with her band, backing singers Donna DeLory and Siedah Garrett, and Re-Invention dancers Cloud and Mihran, all dressed in white. The London Community Gospel Choir also joined on stage to sing Like A Prayer. 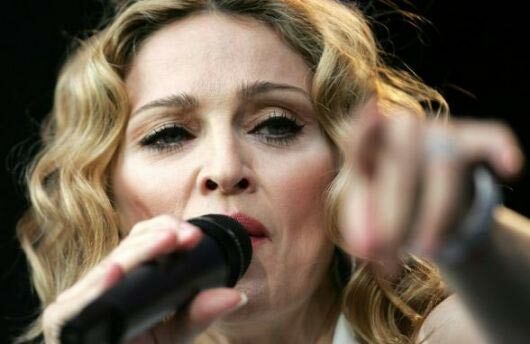 During Music, Madonna led the entire crowd in a sing-along.